Happy Birthday Yesterday, Joe ! Sorry I couldn't get internet service yesterday, but if I could have, I'd have been all over this... Yesterday was Joe Satriani's 58th birthday. 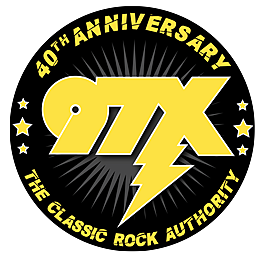 Anyone who was a 97X listener in the late 80's-early 90's knows that Joe was a big part of 97X's history. Late one Friday in 1988, I got a call from a radio friend who said he was sending me this awesome new song that would be perfect for 97X, back when we were rebuilding "The X's" image as a rock station, and when I got it, I listened for about 30 seconds and put it right on the air. It was called "Satch Boogie" ... remember it? It was huge for us, and a couple weeks later, Haz Montana and I listened to the slower ballad "Always with me, Always with you" and we put that right on as well. In fact, I'm pretty sure 97X was the first radio station in the country to play that one. When Joe finally came to the Quad Cities for a show at the Adler a couple years later, he was one of the most gracious and selfless musicians I ever met. He had as much appreciation for 97X as we did for him. He was a brilliant guitar instructor in his day ... he taught Steve Vai, enough said. And Mallards fans might remember that for years, it was a Joe Satriani guitar jam that the team skated out to. So while I could "wax" all day ... I'll just wish a belated happy birthday, and Joe Satriani fans, today I salute you twice... once for yesterday and once for today!